Looks like the Untouchable Maybach Music Empire is still expanding. 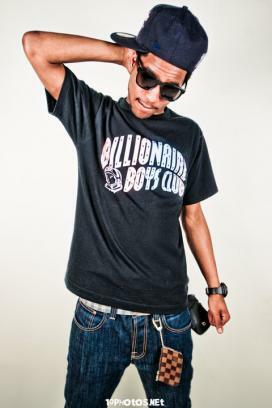 Up and coming rapper Rockie Fresh from Chicago is now an official member of the group. The Boss, aka Ricky Rozay, aka Rick Ross, aka Teflon Don, aka…..(well enough with the aka’s you know who it is) revealed this via twitter last Thursday. “Everyone Welcome @rockiefresh to the @MaybachMusicGrp Family!!!! ” Ross tweeted. Rockie also responded by tweeting “Salute to @RickyRozay for seeing my vision. We #RichForever #MMG.” Who needs a PR when you have a twitter account, huh? Anyway, Rockie fresh has already started working! He released a remix to his song ”You A LIE” featuring Rick Ross. Previous Stella Mwangi Is As Bad As She Wants To Be! Ah fascinating. – You find out something new every day.